The bedroom should be a place of sanctuary and relaxation where we recharge for the busy week ahead. 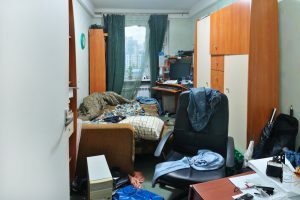 But with many of us being time poor and juggling a hundred jobs at once, it can be hard to keep order and make sure your room doesn’t feel like it’s a storage area for clothes, rather than somewhere to sleep. There is nothing relaxing about being surrounded by yesterday’s outfits, that pile of unsorted clean washing, or mounds of throws and pillows that only have a home once you have made the bed. 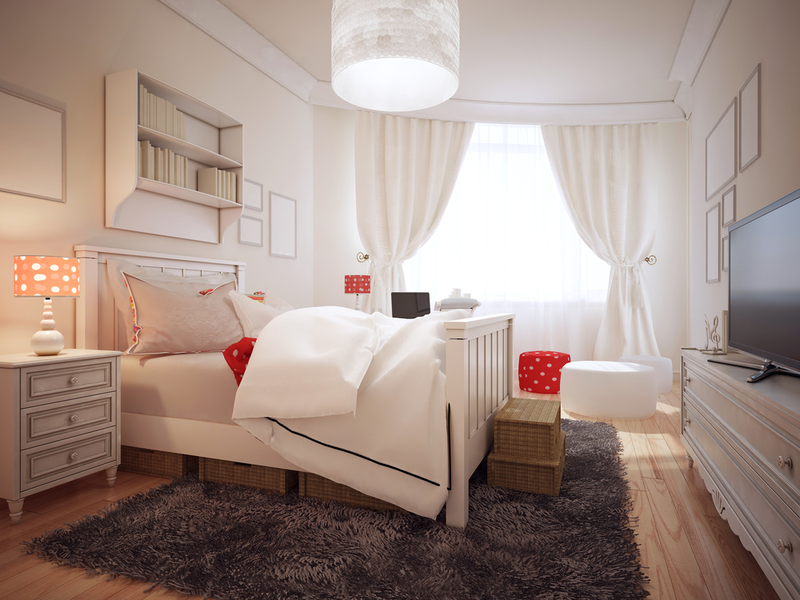 Getting your bedroom decluttered and organised doesn’t need to cost the earth. Try some of these simple life hacks to make sure you can retreat to your room for that well-earned rest. If you like to dress your bed each morning, then you’ll have a throw and plenty of cushions for a beautiful finish. But at nighttime when your headed to bed, these somehow go from pride of place on the bed, directly to the bedroom floor. There is, however, a simple solution. A bedside basket will give you somewhere to place them neatly in the evening, and also save valuable minutes in the morning hunting for them before work. If you are thinking of changing your bed and are short of space, an Ottoman bed maybe the answer to your prayers. Not only can it craftily hide a whole seasons worth of clothes, but it adds another sneaky layer of storage to your room, especially if you are short of space. If you aren’t planning on changing your bed anytime soon, then make the most of the space underneath. There are plenty of options available, but woven baskets add a little more style than the plastic versions. Make sure you don’t forget where everything goes by attaching a brown string tag to each one. Then, even if you aren’t someone who folds their laundry, at least it’s in some order for when you are hunting for it! Space saver bags may remind you of advertisements from the 1990s but they are genuinely a great way to store bulkier items, from the winter duvet to your collection of thick woollen jumpers that you won’t be touching through the summer months. They are relatively cheap to buy, save space, light to pack away and keep everything clean and dust free without the need to re-wash once you get them out again. While this may not seem like the easiest way for many of us to get organised, it is a valuable way to declutter your space, and your mind. The key is to clear away items that serve no purpose – which can be difficult as we attach memories to different things. However, consider whether you have used the item in the last 12 months. Does it remind you of a person you no longer see or care about, or is it just some family ‘heirloom’ that none of you like, keeping only out of obligation? It’s time to get strict with yourself, realign your energy and make that important trip to the charity shop so someone else can enjoy it. You’ll end up with a beautiful new space where you can relax.